Hello and happy weekend!! Where are you in the world? After spending my entire life living through NYC winters, I'm now in the Seattle, Washington area. Lots of grey and rain but it's been sunny and decidedly Spring-like here in the PNW. Since the end of February! I was actually feeling guilty basking in the sunshine without a jacket watching my kids play outside this morning, knowing my family back in NY are still freezing their butts off! Anyway...that bring me to this glorious, sweet and fresh DELIGHTful Spring collection from Zoya. 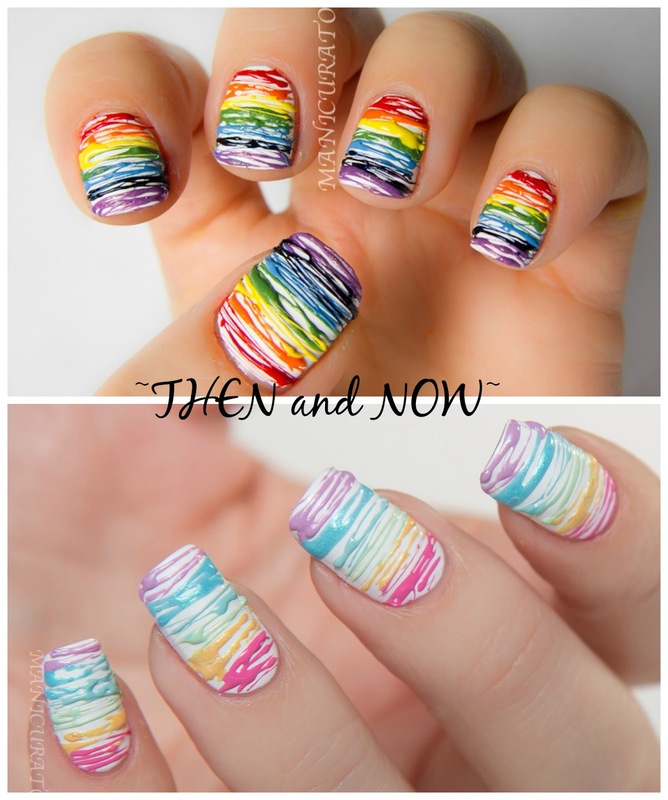 It's nearly three years (minus a month) from the first sugar spun mani I ever did, (my most stolen image!) also using all Zoya polishes so I felt compelled to recreate a pastel rainbow with this collection. I adore how it turned out!! 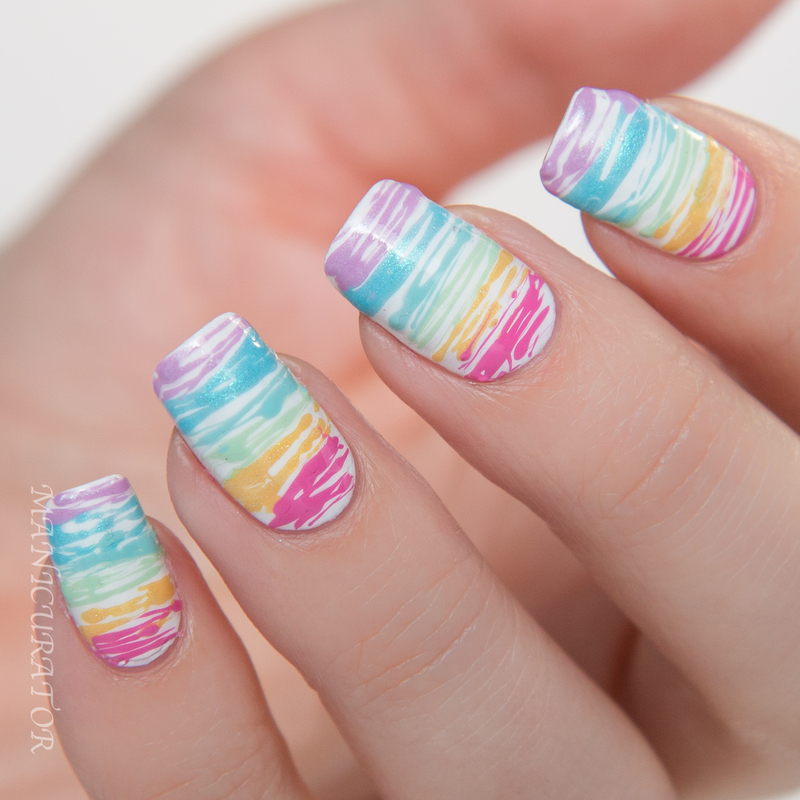 Have you done a "sugar spun" mani? I find them fairly easy to do, just time consuming and messy. But I've found short cuts for both of those! You can find a tutorial for this method in my tutorial tab (which btw I really need to update). It involves stirring and airing out a drop of polish until it gets stringy. It's kinda annoying and takes a while. This time though I just left the drops on my wax paper (not touching them) for a few minutes. The polish naturally starts to dry. Then I stir and mix it and it strings up so easily. 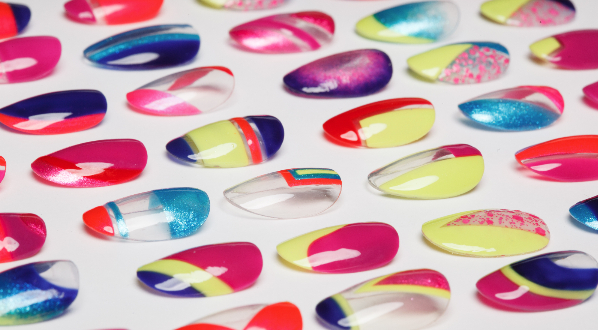 And my second shortcut (to avoid the inevitable mess in this method) is Color4Nails Crystalline Nail Veil! Separate review post coming next for that product! My husband's first comment when he saw these (the top coated version) - he thought I drew it on with markers! Cool, eh? Daisy - a refreshing lemon merengue yellow metallic with an energizing turquoise metallic flash. Rayne - a dewy, spring blue metallic with an energizing turquoise metallic flash. You can see the shimmers quite easily here. Swoon! The above and below are how it looks with top coat. Gah. Love. I was super sad to take this one off! 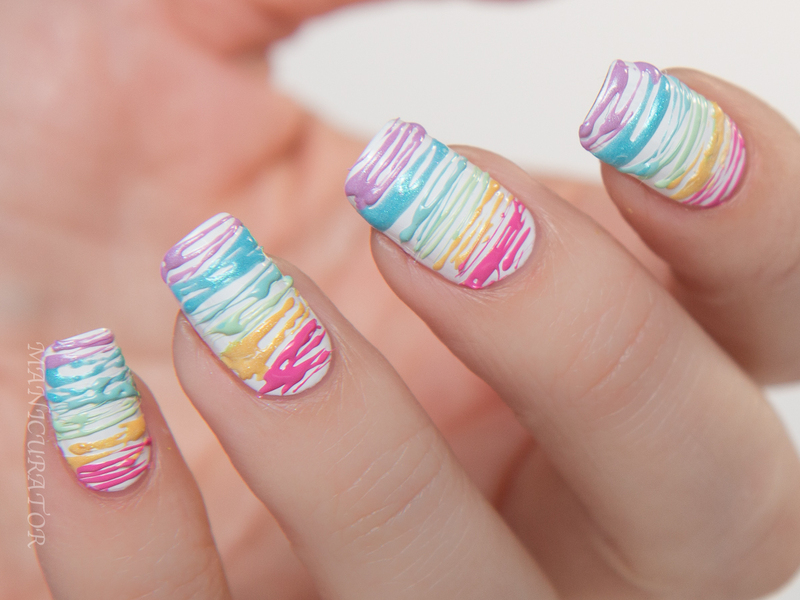 Are you lovin the sugar spun look? Have you picked up any (or all!) of these? 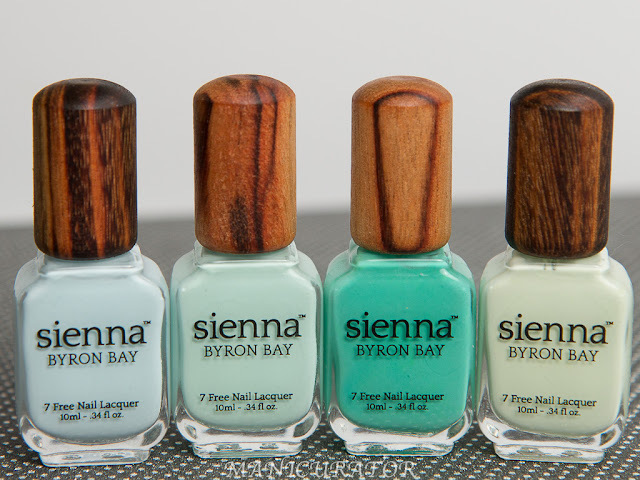 Which shade is your fave? Mine is definitely Lillian. OH almost forgot to mention the white base is Zoya Purity! Love this so much. My favorites from this collection are Rayne and Leslie. Oh, btw it's so not nice that people stole your image. This is supposed to be a safe community, right?! That really burns me up. I love your sugar-spuns this is super fun and springy....They predict the DC Metro Area is going to be in the 50s this week...let's hope! 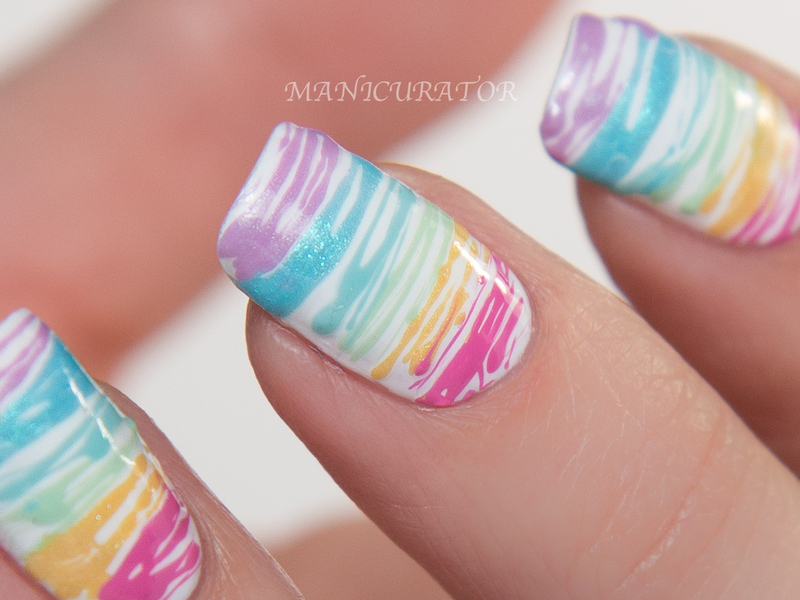 Gorgeous sugar spun mani! I totally remember the one you did all those years ago. :) I love the pastel rainbow tones of the new one! I love it. 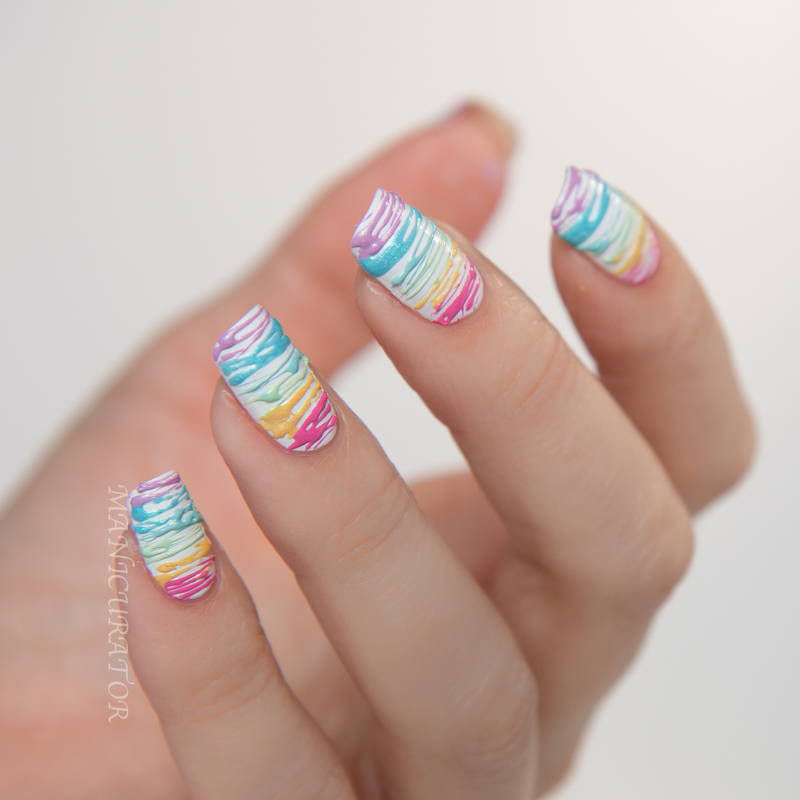 I've done one sugar spun mani and loved it. But may have to now do one with pastels. Love all the pics. This is FABULOUS! I want to EAT IT!! I must get some of those colors AND watch your tutorial about a dozen times because I - must - try - it! So ready for some spring colors. 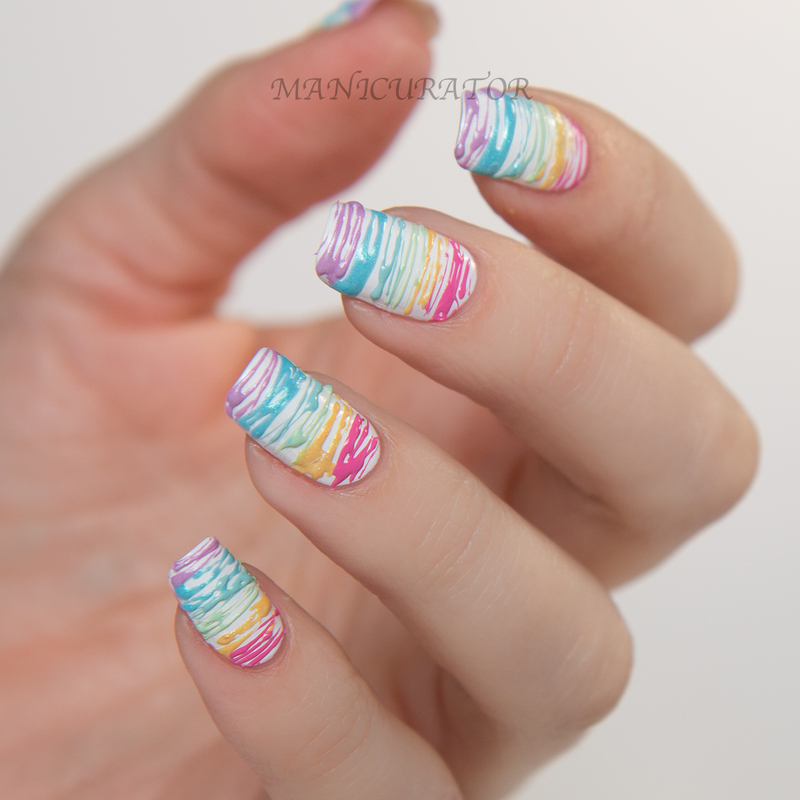 I haven't tried a spun sugar mani yet but now I really want too. I love the delight collection and hope to get some of the colors soon.